With all of the different home security system services out there, it can be hard to tell if you should have a wireless home safety system, hardwired system, or a gadget that has been newly placed on the market. The goal is to stay one step ahead of any potential predators while keeping an affordable means of home security and choosing from masses of options. 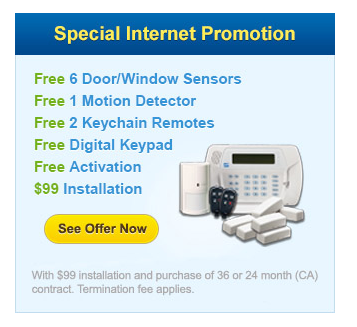 Recently, the best in home security has seemed to be the wireless home safety system. Protecting your home from potential harm is a priority, but when you purchase a wireless home security system, you should know that there is more to the system than just the name. The wireless home security system is primarily chosen because of its neat appearance and lack of wires. It is convenient to every abode in every situation. However, which system you choose will depend on how much security you need and what your budget entails. The best in home safety wireless systems and the most frequently used are the wireless security cameras, the wireless alarms, and the wireless motion detector systems. The wireless security cameras are a small and practical way to monitor your home safety without an alarm. The cameras can be used for surveillance and the leaders in home security typically make them such as Ademco, DSC, and GE. They can be used to monitor children while playing as well as catching a common thief. These cameras have the option to record so that you may check the tapes later using a simple VCR or they can broadcast live. The wireless security cameras are generally considered the best in home security and when they are combined with other wireless devices, they are found to be almost foolproof. The wireless alarms are the most common devices that are used. They are manual devices with a keypad that you can physically control and set. However, alarms have started to lose their credibility due to the fact that they have a tendency to go off unnecessarily causing a false sense of trust with people who have purchased them. Wireless alarms can be found anywhere from Home Depot to the Internet. Depending on what model you choose any handyman can easily install it. Visonic Powermax is a system that comes in an all-in-one pack and it also has voice activation. The Visonic model can be found on the home security store website. The wireless motion detector system is also a common form of home security systems. The motion detectors are almost always installed into new homes, and they perform by providing a light when there is a motion that is detected. Other wireless systems may have an alarm that is attached to the motion detector, but they are harder to find. If you have other devices that are wireless that you want to use in conjunction with the motion detector such as the wireless security camera, you can move and install all of the wireless components together. If you have a hardwired system, the motion detectors do come in the wired form as well. 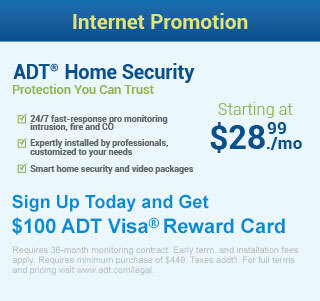 Home security prices will vary if you go outside an already existing system.